Two field representatives from Maryland & Virginia Milk Producers invented this portable plate cooler. 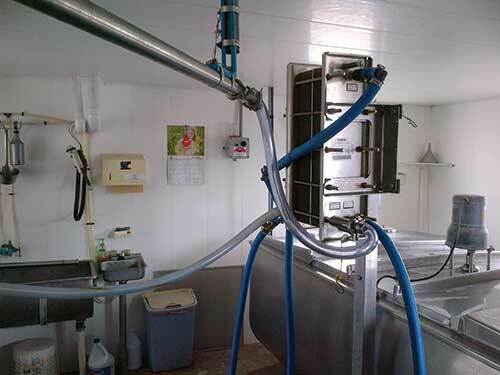 With quite a few Amish farms in the area having older milking setups, there was a need to help some determine if an improved cooling system would help lower Preliminary Incubation counts. The field reps used a standard 54 duel pass plate cooler and made some adaptations to make it mobile. This portable plate cooler has been a success on quite a few of our member farms in the Pennsylvania area.